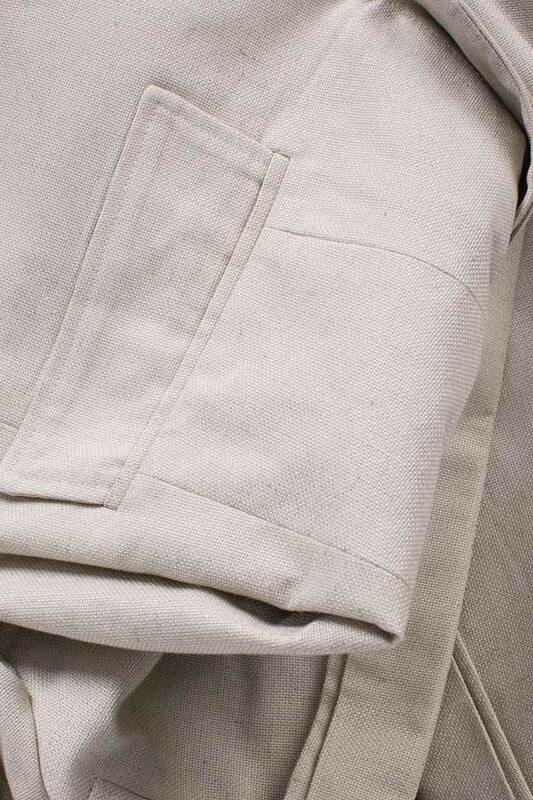 Bluzat's linen suit has been impeccably tailored in neutral hue - a key color for the warm season. 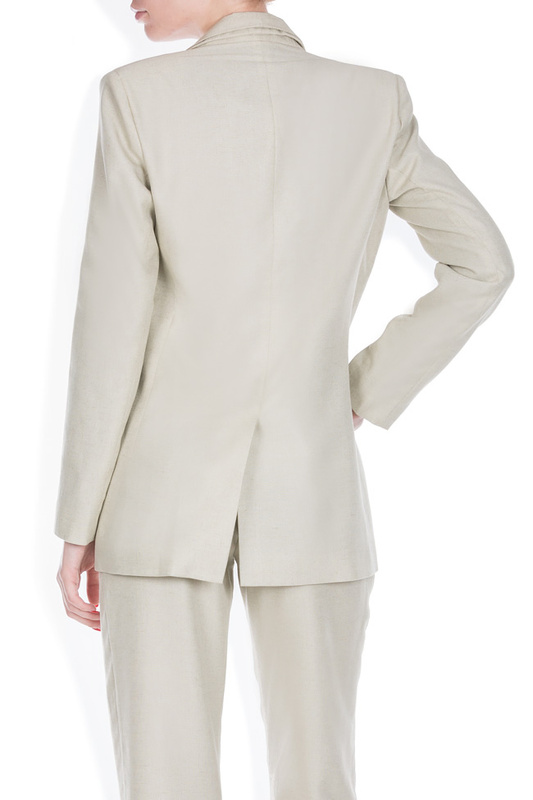 This versatile piece has side pokets, a back vent and viscose lining. 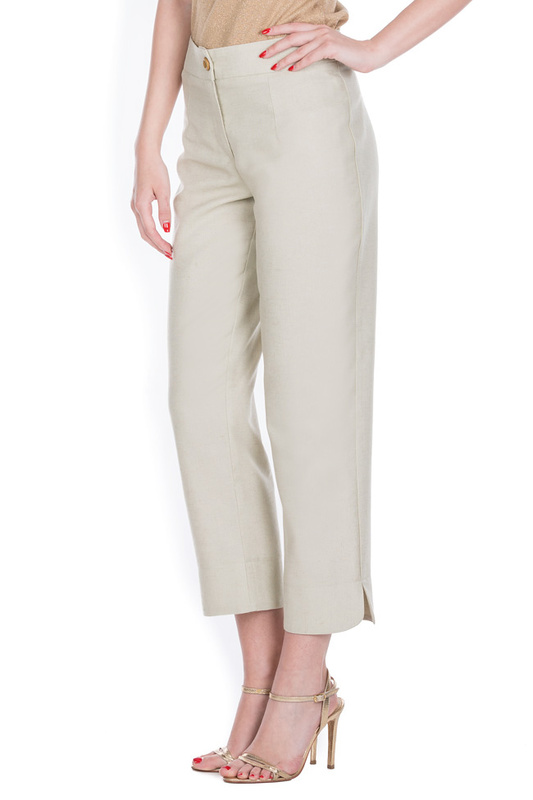 The pants are designed to sit at the narrowest part of your waist and hits just above the ankle. Wear this style with heeled sandals to the office. Material: 100% linen; Lining: 100% viscose.